Friday, December 29, 07:45 AM to 03:20 PM This event has ended. Catch the National Parks Trolley, every Saturday and Sunday, at Losner Park in Historic Downtown Homestead: 104 N. Krome Ave., Homestead, FL. South of Miami but north of the Keys, the city of Homestead is offering an amazing deal this Winter and Spring. EVERY WEEKEND December 29, 2018 through April 21, 2019. 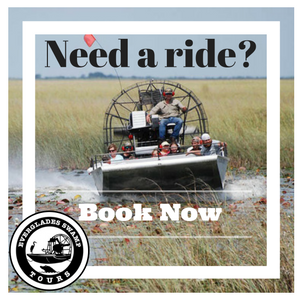 Homestead is offering a free guided trolley ride from historic downtown Homestead to Everglades and Biscayne National Parks, and Homestead Bayfront Park beach. As a special bonus, Everglades National Park and Biscayne National Park will offer free admission to those that arrive via the trolley. The city of Homestead has a rich history and the downtown area offers local restaurants, interesting architecture, and a museum. Parking is free near the Trolley stop at the "Park and Ride" parking lot located at 1 Washington Avenue, Homestead, FL 33033. Visitors can follow the directional signs west towards the Trolley stop at Historic Downtown Homestead in Losner Park. Catch the National Parks Trolley, every Saturday and Sunday, at Losner Park in Historic Downtown Homestead: 104 N. Krome Ave., Homestead, FL. Biscayne National Park preserves Biscayne Bay and its offshore barrier reefs. Ninety-five percent of the park is water, and the shore of the bay is the location of an extensive mangrove forest. Activities include boating, fishing, kayaking, windsurfing, snorkeling and scuba diving. There are programs every weekend including kayak trips, jetty walks, Jr. Ranger Kid's Connection Activities, and porch talks. Everglades National Park protects the southern 20 percent of the original Everglades. It is the third largest national park in the lower 48 states and has been declared an International Biosphere Reserve, a World Heritage Site, and a Wetland of International Importance. The park offers several walking trails and camping opportunities. It also has great biodiversity and many species of birds for bird watching and bird photography. Homestead Bayfront Park offers a beach front restaurant, sand volleyball court, playground, and much more. Canopies, picnic tables, and a sandbox filled with dinosaur “fossils” make it a family friendly place. There is also plenty of fishing available as well as a marina.